Single ACADEMIC workstation perpetual license of V-Ray for form·Z for form·Z pro or form·Z jr. Includes one V-Ray for form•Z interface license and one V-Ray Render Node using the V-Ray on-line License server. Proof of ACADEMIC qualifications required. Must be student or faculty. Proof of ACADEMIC qualifications required. 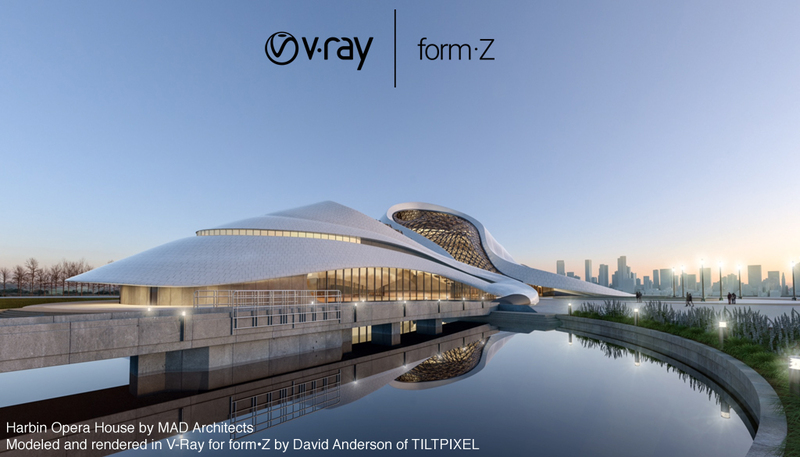 V-Ray for form•Z is compatible with form•Z pro v8.6 (or later) and with form•Z jr v8.6 (or later) on 64 bit versions of Windows (7 or later) and Mac OS X (10.9.5 or later).